Is the world ready for eco-refugee waves? The upshots of ecological changes may cause the movement of more than 25-30 million people in the coming decade. How can this be handled? It is known that ecology‐correlated security challenges are intercontinental in form, driving many countries to progressively hinge on international organizations and corporations for a solution. However, this rings the alarm bell as climate is changing drastically and more natural disasters are projected due to extreme heat variations. The significant matter is that climate security-related issues should be addressed at the highest levels as this is a transnational issue which affects the stability of the world. How can the international community respond to this new challenge? The concerned entities and apparatuses should prepare recommendations for world leaders to extend people’s understanding on how to address such challenges which, due to climate changes, would cause instability to some countries unless crafted effective global solutions to these challenges are implemented to control any further exacerbation of eco-refugees who escape disastrous areas in their countries, seeking refuge in other states. Thus, such structural disparities should be mainstreamed into ecological adaptation processes in order to enhance inclusion and inhibit vehemence. This requires considering two major dynamics into the process. First, structural disproportion and conflict-wise tactic as both methodologies entail customisation and inclusion of refugees in the new community. However, the more natural disasters we have due to climate change, the more eco-refugees host states will have. The issue that would rise later on is their adaptation and inclusion in their new communities where many people would be coming from various regions and countries. This will promote ethnic and race heterogeneity, increase insecurity and produce more anarchy and clashes among those groups with the citizens of host nations. Therefore, buttressing a constructive synergy between these migrants, fashioning a unified structure, and upholding upright governance, considering interlinkages and correlations between climate alteration, exodus and security should be the next top topics at any United Nations conference or meeting because every country is expected to face these challenges which will be a real contest and trail for world cooperation and coordination to tackle such topics. The more natural disasters we have due to climate change, the more eco-refugees host states will have. With some countries pulling out of the climate agreement, this would be another trigger not to be able to address such challenges as they don’t want to be involved at the international level to handle these predicted movements due to climate changes. If we collectively fail to put an end to climate changes, this would drive millions of people to escape their homelands seeking shelter in safe havens in other countries. In other words, this would cause a larger wave of asylum than what man-made disasters trigger which included amongst others the Libyan and Syrian refugees. If so to happen, there is a dire need to cultivate a charter to ensure the required shelter for eco-refugees, who would be a potential risk to their host nations. The Middle East and North Africa (MENA) is witnessing a severe climate change with the worst drought waves in decades in places like Jordan, Syria, Iraq, Iran, Egypt, Libya, Lebanon, Algeria, Morocco and Mauritania. Many farmers who live on cultivation of their lands will suffer from this wave, forcing them to leave their countries due to drought without even waiting for a regional war to break out. What happened in Syria and Libya due to wars will happen in other places in the MENA, but this time due to drought due to heat waves, millions of eco-refugees will flood Europe due to its proximity to the region. 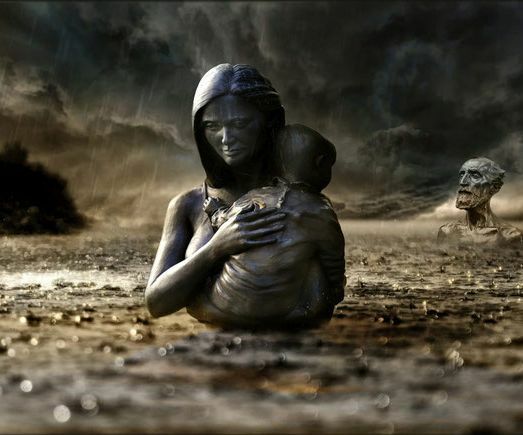 Recent studies showed that even developed nations such as the US is not safe and immune to such natural disasters which would cause huge eco-refuge from some states to others or from the US to Mexico and Canada or from both to the US. Because of this, the number of eco-refugees will be hiking every year, a prelude to political, social and economic strains. Thus, unless human beings unify against such wave, we will face an existential threat to people’s culture, civilisation and stability. Europe which is close to Africa and Asia, will be badly affected by migration problems in the near future, mainly from countries in North Africa which is adjacent to Europe. In 2015, a conference was held in Bonn, Germany, regarding climate. The developed countries decided to insure 400 million migrants from the developing world who are expected to flee their countries to Europe due to climate change. They used for the first time a terminology: Insure-resilience, which aims to secure a shelter for those refugees and to include them in the communities before they turn into a source of risk to hosting nations. Oxfam has issued a report previously about the waves of displacement due to climate change. The entity expected that the number of eco-refugees recorded during the period of 2008-2006 stood at 21.8 million people. Some of these movements were caused by Fiji Hurricane, volcanos and heat waves. The recent fires in Greece displaced hundreds of thousands of people. Such eco-refugee influx will pose a social risk as unemployment amongst these would exacerbate the host countries’ security and stability to a great extent due to cultural, linguistic and ethnic differences. The world should address the climate issues on one hand and should address the eco-refugees predicaments on the other. Thus, addressing them in an integrated way is therefore of utmost importance to secure a sustainable future. Since climate changes are deemed the worst ecological threat, all countries, mainly the developed, should recognise that migration waves from states which are badly affected such transformations as this poses a high national security threat and would be a catalyst to anarchy and a tension multiplier later on. 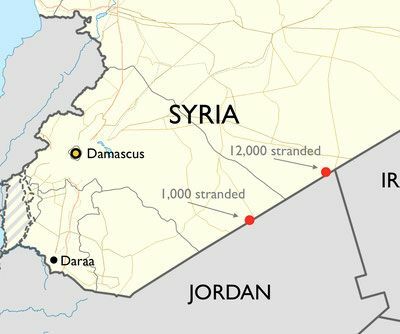 Regional geopolitical requirements, along with internal political and security concerns, have been the main pillars of Jordanian policy vis-à-vis the Syrian crisis. The management of security concerns associated with the growing terrorism on its northern border had become the main objective of Jordan’s foreign policy. Thus, many Jordanians are upbeat that bilateral relations will be back to normalcy in light of new realities in Syria in the field in pursuance of the tone of the Syrian officials towards Jordan. Since the outbreak of the conflict in 2011, Jordanian diplomacy has been characterized by much mistrust and caution regarding the Syrian conflict unlike other neighbors of Syria. Thus, Jordan has been deeply concerned by instability and violence spreading to its territory. 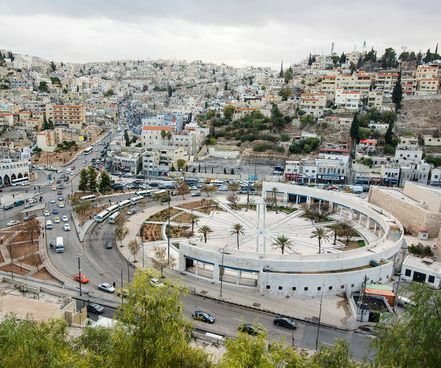 Naturally, it has been Amman’s priority to adapt to the crisis on its northern border, not the issue of the survival or demise of the Syrian President Bashar al-Assad as Jordan has consistently sought a political agreement to end the conflict. Jordanian politicians and people believe that it is the time to let bygones be bygones and to start afresh as Jordan and Syria should have close ties at all levels regardless of pressure Jordan is undergoing from regional and international powers. When Jordan kept its embassy open in Damascus that was a positive signal to the Syrian regime that the kingdom keeps the minimum level of communication, which has been a wise and prudent policy at that time due to regional and international pressure. There is no doubt that Jordan’s concern about the growing extremism on its northern border has been a severe blow for the armed opposition factions at a time the kingdom maintained close contact with the Kremlin even before Russia launched its air campaign end of September 2015. This has helped Jordan pursue political realism through its rapprochement with Moscow, which led to the demise and decline of armed opposition forces. As Moscow plays the role of “decision maker” in Syria, things seem to be heading towards restoring the regime control over crossings points between Jordan and Syria not only Naseeb-Jaber but also Ramtha-Dera’a with Russian help. After the liberation of Naseeb crossing, Jordanian politicians close to the Syrian government had been informed by Damascus that the border point will not be opened before a comprehensive strategic understanding with Jordan is reached, not only for economic purposes but also for strategic and security considerations. This entails that Syrian and Jordanian officials would be paying mutual visits in the coming era, a gesture to start or restore official relations. Despite Jordan’s official statements that Amman’s relations with Damascus are ongoing at military and diplomatic levels with the Syrian side, the Syrian regime’s intention in the aftermath of recovering Nasseb crossing to have full relations with Jordan reflect otherwise. This entails the exchange of ambassadors first before any talk about economic, security and political ties. 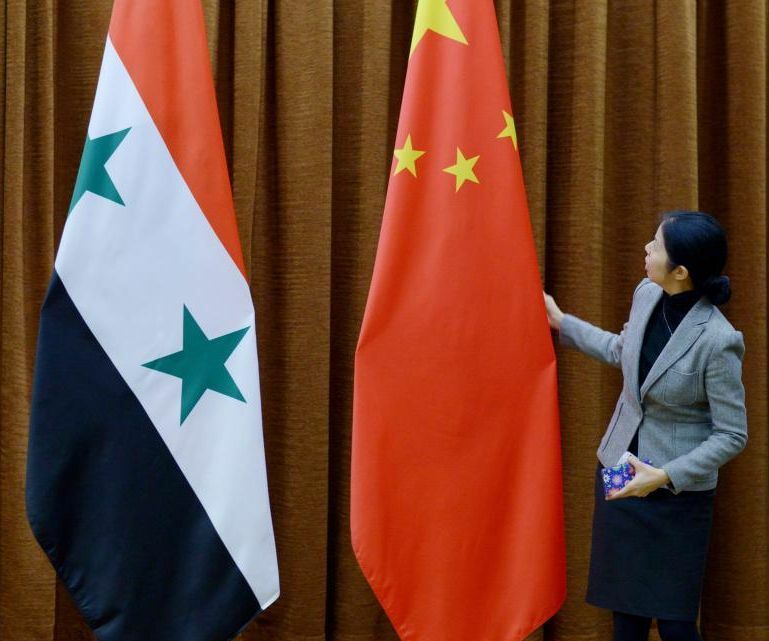 In May 2018, Amman received many positive messages from Damascus to re-establish contacts related to border arrangements between the two countries. Such Syrian messages have been decrypted by Jordan, some of which demonstrated the Syrian government’s willingness to overcome the old political differences to start economic activities in the reconstruction process of Syria with the Jordanian private sector. This explains the visit of the chairman of Jordanian Chambers of Industry to Syria last May, accompanied by a number of businessmen. Some of these messages have also included assurances that the Syrian government understands Jordan’s atmospherics and pressure exerted on the country since 2011. However, communications through Jordanian security and military channels have been active, and political and diplomatic channels remained open. Before March 2011, Jordan and Syria have largely formulated their economic and political affairs based on a sprouting sequence of strategic partnerships. When Jordan’s King Abdullah II said in an interview with Jordan News Agency, Petra, that he is “deeply concerned” about the situation in southern Syria and that his country’s border with Syria would only reopen “when the right security conditions materialize on the ground,” this is the condition that Jordan has for the Syrian government. And with the recovery of the borders with Jordan, this condition is met and Jordan is looking forward to reopening the crossing point to jump-start trade activities. 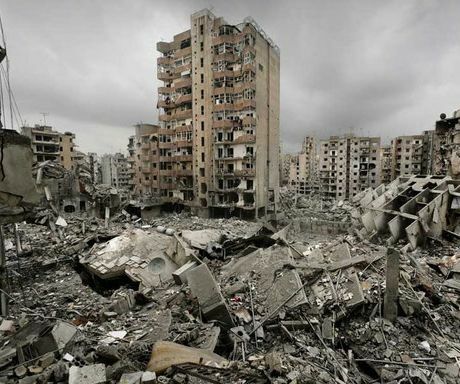 However, this is not what Syria wants at present. In spite of all differences that marred Jordanian-Syrian ties for eight years, bilateral relations are moving in an increasingly positive direction. The coming months may prove to be pivotal ones in their relations, bringing temperature to their pre-2011 era. Since August 2017, al-Assad has been sending positive messages to Jordan. The remarks of the Syrian president and his interviews with foreign TV channels reveal that Damascus does not attach great importance to the opening of the border with Jordan soon, but attaches importance to a comprehensive security, political, military and economic deal that will help reach a kind of rapprochement and a détente between both governments. It is a full package deal or nothing. Damascus has been sending messages to Jordan through Germany which is deemed an honest broker and a source of confidence for the Syrian government. These messages focused on the readiness of the Syrian regime to trade the Iranian presence on the Jordanian border with disarming the opposition and the Free Syrian Army factions. The Naseeb crossing is one of the Middle East’s busiest trade routes as it connects Europe to the Middle East. Before the closure of borders, Jordan’s customs handled $1.5 billion-worth of goods a year. Now that amount is zero. Before the Syrian uprising in 2011, more than 5,000 trucks used to cross the border each month. Jordan prepares the ground for the Helsinki summit, wrote my friend, journalist of the Russian prominent Kommersant newspaper. And somehow it is true. But Jordan proceeds not with global charity and assistance, but pursues very certain national interests, seriously affected by the situation in Southern Syria and the influx of refugees to the Syrian-Jordanian borders as Jordan rejects to accept any more refugees into the kingdom. After King Abdullah’s visit June 25th to Washington, Jordan, as expected, proceeded with mediation between Washington and Moscow over the issue of the opposition in south Syria. The king voiced his concern to the American administration over the spillover of a military escalation in South Syria. The Syrian army has paved the way for the military assault after liberating the outskirts of Damascus and Ghouta from terrorist gangs in the area as officially reported. With Russian air cover, the Syrian army is heading towards the Jordanian-Israeli borders. 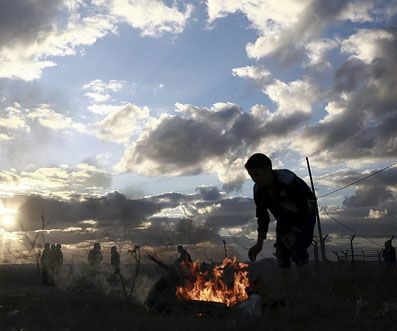 The pace of battles has surprised the militant opposition and posed a high risk on Jordan’s national security, not only because some of the terrorists are among those refugees but also due to the demographic imbalances that such a flood would cause. The day the war in south Syria started, humanitarian concerns sparked. Jordan, closed the border, being unable to cope with the new flow of refugees, and prepared the trucks with humanitarian aid requiring Damascus permission to cross the border and reach people in need. Jordanian officials’ visits to Moscow in the past few months and recently aimed to ask Russia to exercise pressure on the Syria government to open the border for Jordanian convoys loaded with humanitarian aid. All Jordanian visits to Russia since the beginning of 2018 aimed to exercise more pressure on Damascus not to push the militants towards the Jordanian borders as this will cause a major threat not only to Jordan but to Israel as well as this would lead to further skirmishes on the Jordanian borders with Israel. The situation for the Syrian refugees is dramatic for Jordan as it leverages enormous pressure on the already troubled economy of the country. Further deterioration of the situation in Syria might become fatal to the Kingdom in terms of refugee influx which required huge budgets to handle. And since Jordan is facing a huge financial deficit and debts due to economic hardships, the refugee scenario would cause further deterioration of the whole Jordanian economic plans. But what is a problem for Jordan is not a matter of deep concern to Russia as the mopping up of the area from the gangs of Jabhat an-Nusra is far more vital matter. Jordan prefers not to talk about countering terrorism at this region as it gives priority to peaceful talks rather than fighting. The south region of Syria include three governorates: Deraa, Suwaid and Qunaitra and they all have a population of 5 million. The deescalation zone was established July 2017 after the Trump-Putin short meeting on the sidelines of G20 summit in Hamburg and is guaranteed by two sides: Russia, and the US where the US responsibility was to talk to terrorists demanding their withdrawal from the areas of tension. Jordan hosted the military operations center to monitor the de-escalation zones in south Syria. Russia, in its turn, guaranteed the withdrawal of the non-Syrian forces, in other words Shia-militias, out of the area, especially by the Israeli-Syrian border and it is apparently fulfilling its obligations. Jordan is shuttling between Washington and Moscow having exclusive relations with both. Pursuing purely national interests, Jordan creates agenda for Russia and the US to work on. Both countries are interested in stable Jordan. Any complications inside Jordan are worrisome and undesirable so they are both likely to listen to Jordanian concerns. Reasons why Jordan is important for the countries are quite numerous, but they are different for Moscow and Washington. 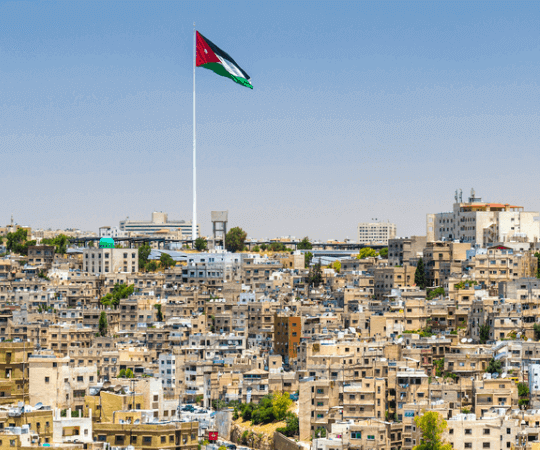 Jordan’s strategic location allows it to play significant geopolitical role in the region despite poor natural resources and numerous economic problems. 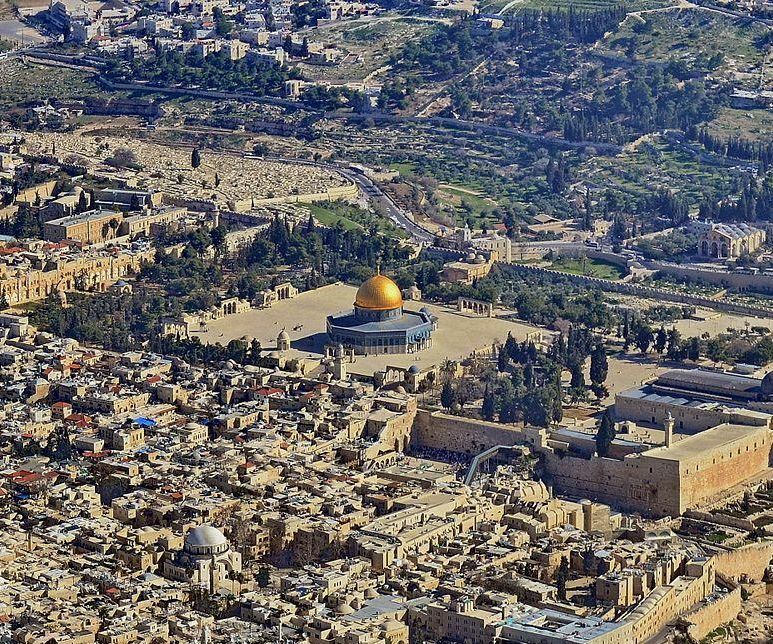 It is a frontier between Israel and the other countries in the Middle East, mainly the Gulf that stopped the terrorism to expand to these areas. It is one of the last more or less stable fort-posts in the region, keeping it away from the absolute chaos. Jordan hosts the US military bases and works perfectly as a mediator in some slippery issues. For Russia, Jordan is a vital regional partner with which Russia has a positive history of bilateral relations hosting Jordanian King at least once in a year. Jordan is an important counterpart for Russia in Syria in terms of its mediative role. Furthermore, it has significant tribal influence in Southern areas of Syria, needed in settlement issues in the area as the tribes in Northern Jordan and the same in Southern Syria. On the eve of the Helsinki summit the efforts of Jordan might lay the ground for some new advanced agreements between the US and Russia on Syria. Though the current situation in Southern Syria is far from being stable and de-escalation zone has literally failed, the guarantors continue insisting on the perseverance of the deescalation zone. As for the humanitarian convoy from Jordan, though the Russian side did not give publicly any promises, Russia is likely to proceed with assistance to Jordan. Obviously, Damascus has no reasons to oppose entrance of the Jordanian humanitarian convoy but it has the right to inspect them for fear the same history repeats itself when humanitarian aid convoys were allowed in northern Syria. Both Russia and Syria have the right to monitor any convoy entering Syria and after inspection, the convoy can be given the permission to reach destination. The West needs to understand the present connection between Jordan’s economy and its politics. Since 2011, Jordan has been facing a wide range of pressures — political, economic, demographic, security and military — due mainly to the continuing anarchy in neighboring Iraq and Syria that has driven hundreds of thousands of refugees to seek shelter in the Hashemite Kingdom. The poor economic conditions in Jordan threaten to create a magnet for jihadists, extremists and terrorists, with the Jordanian government warning that it cannot accommodate more Syrian refugees, seeking means to avert a new calamity. An urgent monetary bailout is needed to avert a deeper security crisis by addressing the dearth of natural resources and providing facilities to improve the living conditions for Jordanians who have lost confidence that a government reshuffle can save the country. The West needs to understand the present connection between Jordan’s economy and its politics. Jordan’s total public debt stood at $39 billion end of April, with official figures showing that the kingdom’s public debt increased to 96% of the country’s GDP, with unemployment at 18%. Widespread protests over the government’s economic policy forced the resignation of Prime Minister Hani al-Mulki in June and the appointment by King Abdullah II of a liberal successor, Omar Razzaz, who has been tasked with carrying out an urgent financial austerity plan to cut public expenditure. With political and economic unrest widespread, Jordan appears fragile and prone to higher security threats, which could be exacerbated by the Syrian government forces preparing for a major assault to recover Deraa, al-Suwaida and al-Quneitra from the armed opposition. Since July 2017, Russia, the US and Jordan have reached an agreement to set up de-escalation zones in Syria, including southern parts of the country near the Jordanian border. At present, Syrian and Russian preparations are in progress to liberate the three provinces. Helicopters dropped flyers over Deraa in June asking rebels to put down their arms, resolve their dispute with the Syrian government and not waste their lives by facing sure death. At the end of June, fears have doubled due to a breakout of fighting between Syrian troops (backed by Russian airstrikes) with rebels in the southwest of Syria. The Israeli government has warned the Syrian army and its allies that Israel “could attack Damascus’ forces if they try to deploy in a demilitarized border zone while advancing against rebels in the region.” This entails that the Syrian army should not deploy troops in al-Quneitra province. As for Jordan, the troubled areas in southwest Syria, mainly in Deraa province, border Jordanian villages, raising fears of intrusion by militants into Jordan. Moscow says that it has already arranged an agreement with Amman and Washington to force Iranian troops and the militias fighting under its supervision to redeploy 60 kilometers from the Israeli frontiers and 25 kilometers from the Jordanian borders to ensure that there would be no military threat to both countries. With this, Jordan could stem the inflow of both Syrian militants and refugees into the kingdom. On July 6, the Syrian rebels agreed to hand over their heavy weapons to the Russian troops who brokered a ceasefire deal between the Syrian regime and the rebels in southern Syria. This is deemed a major victory for the Syrian President Bashar al-Assad, whose troops managed to recover the Nassib border crossing with Jordan, which was held by the opposition forces for more than three years. The decision to start the battle in south Syria has been taken at the highest levels in Damascus and Moscow, with some attempts at reconciliation between the rebels and the Syrian army. The American administration informed the rebels in southern Syria that they would not receive any American support. This has encouraged the Russians to launch airstrikes in the south to pave the way for the Syrian armed forces to start their offensive, with the Syrian regime reinforcing its sites in Deraa and entering new villages and outskirts. Amman has said earlier that the situation in south Syria is critical, calling on both Moscow and Washington to consider Jordanian concerns. The kingdom is a vital regional ally for the United States, starting from cooperation in the war on terror to the issues of housing refugees. The consequences of the war in Syria, the influx of refugees and the burden borne by the Jordanian economy have been on King Abdullah’s agenda during recent talks with US President Donald Trump. The monarch informed the American leadership that the cost of the war in south Syria would lead to a catastrophe not only for the Jordanian economy but its society as a whole. Israeli Prime Minister Benjamin Netanyahu’s visit to Jordan in June and his meeting with the king has not focused only on the so-called “deal of the century” to resolve the Israeli-Palestinian conflict, but also on the offensive in south Syria near the borders of Israel and Jordan. This is confirmed by the fact that the chief of Israeli intelligence, Yossi Cohen, accompanied Netanyahu on his visit. Both countries are concerned about the presence of Iranian militias and troops near their borders and fear that if the Syrian army starts operations, the vacuum would be filled by these militias rather than by Syrian government forces. Netanyahu’s upcoming visit to Moscow on July 11 will try to diffuse tensions between the Syrian and Israeli armies near the Golan Heights. The Israeli prime minister is looking for the deployment of the United Nations Disengagement Observer Force immediately to the ceasefire line between Syria and Israel. Such movements by Israelis and Jordanians demonstrate the level of concern for both government vis-à-vis the recent developments in south Syria. 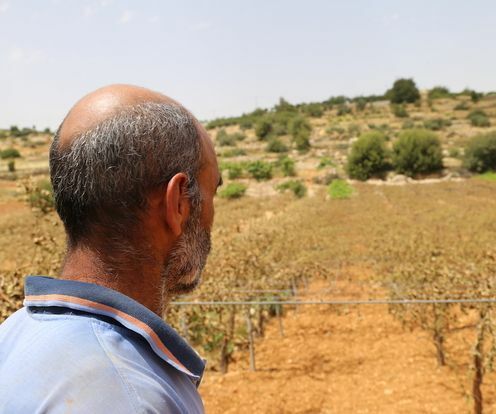 It is hard to think of a stable Jordan without considering its northern borders with Syria. Amman wholly rejects any military adventure in the south of Syria as it would be a time bomb set against the stability of the kingdom. King Abdullah is trying to resolve these eventualities with the Americans, the Russians and other regional powers to avert another catastrophe that could impair Jordan’s economy and pose high security threats to the country’s stability. The coming war against Iran is pushed by some Arab rulers rather than Israelis who are benefiting from the state of rivalry and enmity between a number of Sunni Arab countries against Iran, blaming Tehran for threatening their countries and interfering in their internal affairs. By the same token, US President Donald Trump has announced his country's withdrawal from the nuclear deal with Iran early May 2018 and he will not accept any amendments to the pact as he insists on changing the whole deal to include Iranian ballistic missiles. After years of breakneck and ruthless fighting, Syria and Iraq are slowly stabilising after defeating most of the terrorist groups in both countries. However, the international influence in the Middle East brings massive problems to the region: high level of tension between Iran and Israel, hostility between Saudi Arabia and Iran, and stability of oil prices, terrorism, and political rift between old regional allies. 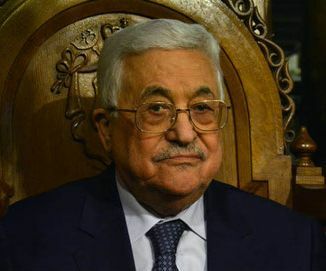 Chaos will continue in the region and it will rather escalate with no signs of plummeting as the international and regional powers are not willing to bring veneer of order to the region, which will lead anarchy after stability in some countries which started to breathe a sigh of relief. Will international powers keep fueling Sunni-Shiite infighting? 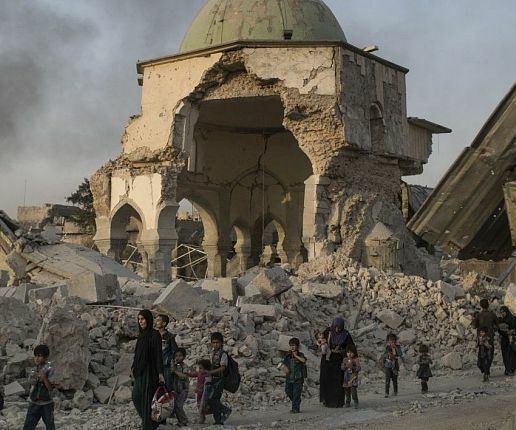 Will Iraq, Syria, Libya and Yemen be in ruins? The answers come from the meetings of American administration regarding forming a new alliance against Iran to impose new sanctions on the country and to force the international community to abide by what the US wants. This justifies his recent appointments of the three hawkish officials to his administration: Mike Pompeo as Secretary of State, Gina Haspel as CIA director and John Bolton as National Security Adviser. The three of them are against Iran and the nuclear deal as well. Thus, they will seek to implement what Israel wants, represented by its far-right government, which is planning and working hard to prevent Iran from developing its military industries and overthrowing its political regime. Unfortunately, there are Arab countries that share aggressive intentions of the US and Israel. They purchased American weaponry for hundreds of billions of dollars, normalising ties, forgetting the Israeli-Arab conflict by labelling it as Israeli-Palestinian issue, ignoring US president Donald Trump’s recognition of Jerusalem as the capital of Israel. Bringing back Bolton to power poses a high risk as it pushed the US to war edge. The hawkishness of the two other officials will also lead to one or two regional wars in the Middle East. 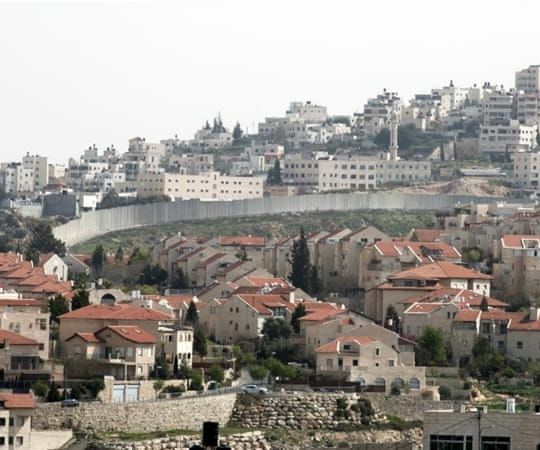 The US and Israel as well as a handful of Arab states do not hesitate to ally with Israeli government’s expansionist policies. These countries have been behind the destruction of Iraq in the 1990s and they are the ones who highly contributed to the destruction of Syria, Yemen and Libya, neutralizing Egypt and alienating it from national role to confront Arab real enemies overseas. 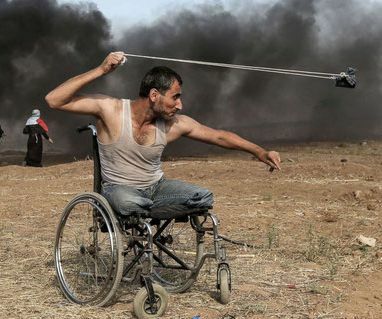 Since 1973, we have not seen a true Arab battle against Israel. The reason is, that many Arab states, even those which have no normal ties with Tel Aviv, have sought neutrality in the Arab Israeli conflict for their own survival, regardless of the fierce war Iraq had to undergo against Iran and the hundreds of thousands in death toll in both sides and the volume of destruction in Iraq, Syria, Libya and Yemen for these “friendly" to Israel Arab countries in order to thrive and to avoid any setback on their economies. No one would ever believe that such cities and states would develop without the Iraqi sacrifices against Iran at that time which the Iraqis are paying until now. It is the same countries which push forward for prolonging the war in Syria, Yemen and Libya as well as other places in the Middle East as this serves the economies of those who are lobbying for the “Century Deal” at the expense of Arabs: Christians and Muslims. For many Arabs, Iran is not the enemy of Arabs; it is the enemy of the minority of Arabs, who are under the influence of the West. Israel believes that Iran is its enemy which Tel Aviv seeks to destroy before Tehran becomes a major power that would threaten Israel’s presence in the region. Why do some Arab rulers conspire against Arabs? Who will benefit from a devastating war in the region? What gains will get the Arabs who will be involved in the battle against Iran or Syria, if pushed to by the West and Israel? What happens if Iran wins the battle? Observers believe that Arabs will not achieve anything useful from any regional war against Iran and its alliance or Turkey and its coalition. Supposedly, if a war breaks out between Israel, the US and its Arab allies against Iran, the end will be that the Areb countries would be further divided to be better controlled and monitored by Israel and its Western allies, where oil and gas resources will be fully controlled by these countries for decades to come. However, if Iran wins the war, the first victims will be those countries which have taken part in the aggression against Iran and its allies. By then, new demonstrations in the region will arise against Arab rulers who have destroyed their countries’ economies and armies for the sake of foreigners and who mortgaged their states’ wealth and natural resources to their enemies. Arabs are a nation plagued by some failed rulers who cannot read the international developments and threats correctly, and who prefer to cooperate and ally with the enemies of the nation. The greatest enemies of the Arabs are some Arabs who conspire against their peoples for the sake of their enemies who have no morals and who do not respect their promises. 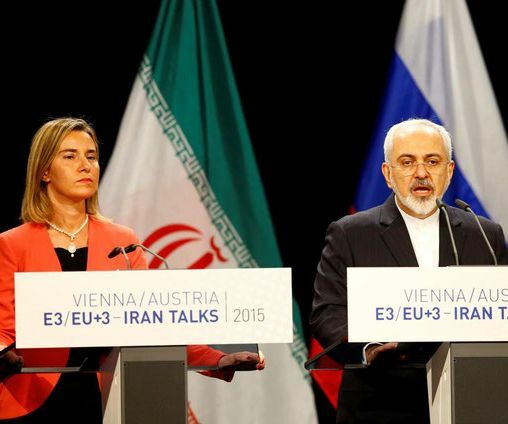 In Munich Security Conference which was held February 2018, most Arab governments have demonised Iran and considered Tehran a greater enemy; their behind-the-scenes collaboration with Israelis against Iran has become an uncluttered secret. The West including the US along with Israel are aligning with some Arab because oil is a crucial concern and a top priority. Thus, demonising Iran or any other country other than Israel at this time is very fruitful as this will be a credit for the Americans and their allies in the West to abuse the Arabs and abuse their resources to the last single penny. Is it likely that the Middle East will be redrawn, but this would happen in the coming ten years with the creation of an independent Kurdistan state even if Turkey and Iran fight against that tooth and nail. The next era will witness not only partition of countries that witness infighting, but also those which will witness chaos in the coming years dividing countries whose areas are millions of square kilometers into various states. The Arab world will continue cracking further and Arabs will be seeking shelter in other countries in waves of immigrants.